Choose a fork to fit your bicycle. Choose the quick release to fit your bicycle's rear wheel. For rear wheel's with a nutted axle, BOB Nutz are required instead. For rear wheel's with a solid through axle, a Robert Axle is required instead. Include a waterproof bag for your BOB. The YAK trailer is the original Beast of Burden (B.O.B.) product. This versatile single wheel bike cargo trailer has long been the most popular trailer among cyclists the world over for both touring and around town utility hauling. The appeal of the Yak is its single wheel design and easy attachment system. Unlike two wheel trailers, the B.O.B. Yak tracks right behind you, almost like it’s on rails. At times you find it actually disappears – you may forget it’s back there. We offer many options for the BOB Yak trailer. A typical setup is the BOB standard length fork, the standard spacing BOB Quick Release and a BOB DrySAK. Choose the 28 Fork model for use when extra clearance is needed such as with 700c wheels with fenders or 29er mountain bikes. 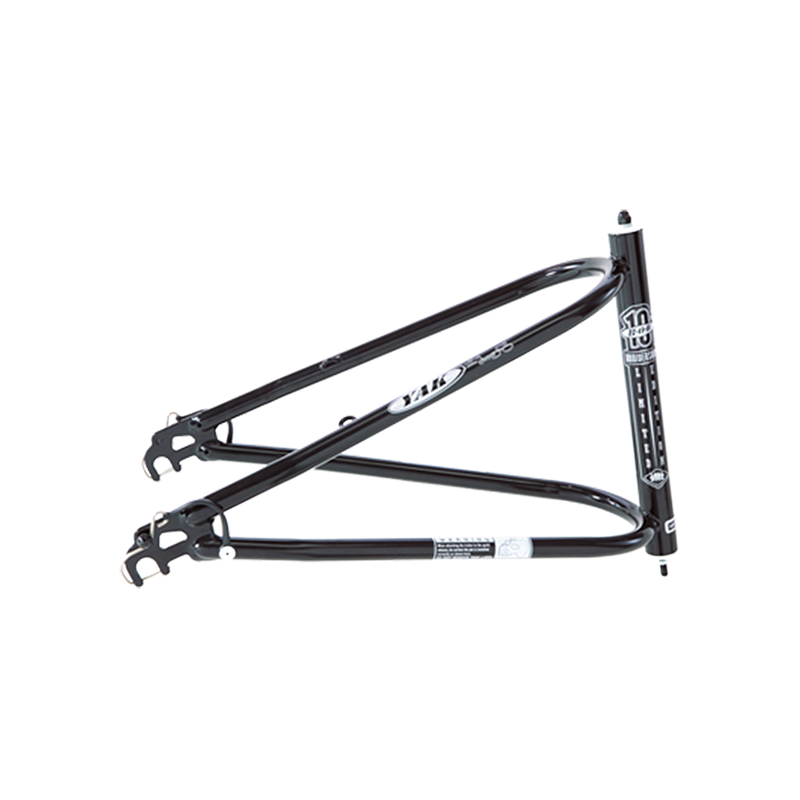 Choose the Santana Fork model for use with Santana Tandems. The Santana Fork has wider 160mm spacing in both the trailer fork and quick release for compatibility with the wider Santana frame spacing and hubs. We highly recommend including the BOB DrySAK with your order. For bike touring or around town the BOB DrySAK is a great dry bag for keeping all of your gear dry. Made from durable and waterproof vinyl-coated PVC, the bag offers 5600 cu. in. capacity. For around town use the Wandertec SAX Cargo Liner is a great addition to the BOB, turning the cargo area of the into a very usable trunk-like container. In combination with the Wandertec Cargo Net, tossing groceries, bags, and whatever else in and out of the BOB is a breeze. I owned (until just recently, before someone stole it), an original 1998 Beast Of Burden YAK. I tugged this beauty back and forth between Santa Barbara and Seattle numerous times with only one flat, but no wheel or bearing problems. As fellow cyclists, of late, spying me out and about, would yell out : “Great retro B.O. B.” This coming spring I will purchase another, and after High Tea, at the Emptess, in Vancouver, Canada, I will set off for Ocean Beach, San Diego, California. An old bumper sticker : “Happiness Is Within Your Reach When You Live In Ocean Beach.” I lived there for 8 years between 1968 and 1976. I am 73 years young. My purchase & initial use of the BOB Yak Trailer has been nothing but positive. Even though I have only owned and used the BOB for about a month now, it has delivered what it promised. My maiden ride I loaded about 25 lbs of gear just to get use to the feel. Like previous reviews I have read, it felt like the BOB single wheel system was on rails. I never had to concern myself with it's footprint or the slight pull I feel riding several hours in a day. The feel and ride are not awkward and is quite stable. I also love the BOB Dry Sac. It holds 91 liters of gear and fits perfectly on the trail. And the price is much lower than buying a name brand dry sac. Thanks to biketrailershop-.com for impeccable customer service too. After looking at touring bikes and the cost of adding racks and panniers, I decided to buy my BOB YAK trailer to haul behind my Salsa Mamasita hardtail 29er at a much more reasonable cost. I put Schwalbe Big Apples on the bike's rims, shortened the stem and added a handlebar bag and voila. A great hauler for touring. The trailer assembled easily and fit on the bike perfectly. My first experience with it was a 26-mile ride with 20 lbs. in the dry bag. No problems at all. Then I did a 60-miler with 25 lbs. in the bag. Again, no problems. The trailer trailed the bike perfectly. Some may find an issue with parking the rig or backing up. My answer to that is find a place where backing up is not required. I did buy a kickstand and mounted it on the trailer itself. When you find the right angle of the bike's front tire that rig is solid and does not require additional lateral space. My next ride was an overnight camping trip with the BOB loaded with 34 lbs. of gear. Traveled about 100 miles. It was great fun, even on the hills. I thought having that weight behind me would make climbing difficult but it wasn't bad at all. Having MTB gearing did help. I am looking forward to a 5-day trip up the California coast and this winter with a friend who also has a BOB and to a trip from San Diego, CA to Apache Junction, AZ. I trust my BOB YAK trailer completely. Longer trips will surely happen.